The Future of Media Conference began as a simple talk shop for media agencies, media owners and brands to engage and discuss the fault-lines in their relationship. Did the agencies really understand the audiences they were buying for? Were the media platforms flexible enough in their strategy to cater for a fast-changing media environment? Were the media owners and agencies looking after the best interest of the brands? While the above philosophies remain a central pillar of the event, it has now grown substantially to become the annual meeting place and melting pot for the country’s media and marketing practitioners. Over the past four years, the Future of Media Conference has focused on each of the six main media platforms within their individual silos, but now, the time has come for considered integration that is aimed at best benefitting the industry in its entirety from one single vantage point. The complexities, pitfalls, advantages and opportunities behind navigating a new brand with brand new systems and processes. Do you know enough about programmatic buying to really excel at it? Whether it’s working through the jargon, from ad inventory, to real time bidding, click-through rates, audience extension, yield optimization and so on – or finding the most effective ways to up your digital advertising game: your brands will thank you for getting with the program. With DSTV PVR decoders and internet access on the rise, more and more of your audience is choosing which content to engage with, right down to advertising messages. Are you sponsoring conversations that your consumer cares the most about? Learn more on how to entertain, educate and possibly direct your viewer’s attention without necessarily advertising to them. 2016 will see the mass-market introduction of virtual reality devises in South Africa, giving brands an additional media platform through which fully immersive, memorable experiences can be created in a 3D environment that excites the senses. Don’t miss out on opportunities to lead the way with innovative, impactful VR campaigns of your own. Fast-growing start-up businesses are bringing about a fresh new wave of opportunity that every progressive organisation can use – from innovative processes in development to the latest in target market research. The advancement of mobile devise tracking and other real-time locating systems has resulted in location-based media (LBM) fast becoming an essential tool in delivering tailored brand messages to the right audience at the right place. Join us for this discussion on the effective uses of location media. One will contribute the money towards your cause, or event. The other will go the long haul on all the risks, responsibilities and proceeds if any. Take a closer look at opportunities and degrees of involvement behind these mutually beneficial relationships between two or more business enterprises. Welcome to the age of big data, where absolutely every piece of information on people, places, brands and trends is literally at your fingertips – if you know how to read it. The Future of Media will unpack Big Data in a time when it’s taking our entire industry by storm. Come and hear from the experts on data processing, analysis, capture, curation, sharing, storage, and information privacy amongst other pertinent topics. 14:47 Digital migration – Are we there yet? How far has South Africa come in its transition from analogue to Digital broadcasting? We look at the current state of affairs, and factors that are influencing the great migration. Social Media is a powerful yet volatile platform that no brand can ignore because even if you don’t post – someone out there may just be talking about you. In this segment we look at associated risks, company policies and procedures – and how to overcome disasters as big as ‘the Penny Sparrow factor’. Gamifying your brand is one fun way to increase user engagement, customer loyalty, and employee productivity amongst other great benefits. Trevor Ormerod is one of South Africa’s leading media personalities, with more than 26 years’ experience in media and entertainment. 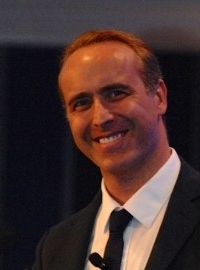 Having been at the helm of a number of high-profile media companies, as Deputy Managing Director of Times Newspapers, CEO of Primedia Business Solutions, COO of CNBC Africa and CEO of Primedia’s Cinema and Print Division, he rejoined the Times Media Group on 1 October 2011 and is currently General Manager, Group Sales. 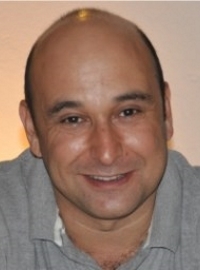 Juan Senor is a Partner at Innovation Media Consulting Group based in London. As a Partner at Innovation he has directed projects all over the world helping news operations to re-invent their products and stay relevant with shifting audiences. He has worked and advised hundreds of media companies in every continent. His projects with Innovation have won numerous accolades, in particular Best Newspaper Concept and Design in the World and/or in Europe continuously from 2004 to 2011. In 2010 he was listed as one of 'The World's Leading Innovators' in Journalism and Media' by journalism.co.uk. He serves on the Advisory Board of several media companies around the world. He also publishes annually as co-editor of the books Innovations in Newspapers and Innovations in Magazines written on behalf of WAN-IFRA and the FIPP respectively. He is a former journalist and presenter for PBS's NewsHour, Wall Street Journal TV and CNBC Europe and served as London correspondent of International Herald Tribune Television. His work has been nominated for an EMMY and his television programme, Media Report, was voted by viewers as Europe’s Best Business Programme. 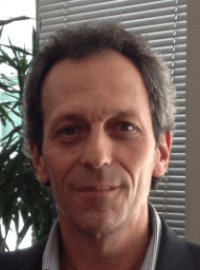 Alon Lits joined Uber as its first General Manager in Africa in August 2013. Alon began his career in the leveraged finance division of Investec Bank Limited, where he provided debt and preference share financing solutions to public and private companies in South Africa, as well as Africa’s largest private equity funds. 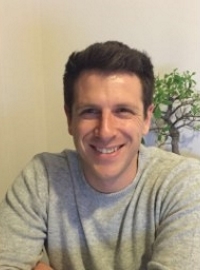 Before joining Uber, Alon interned with the emerging market focused private equity fund - LeapFrog Investments - focusing on investment opportunities throughout Africa. He holds an MBA from INSEAD where he was part of the leadership teams of both the Private Equity and Africa Clubs. 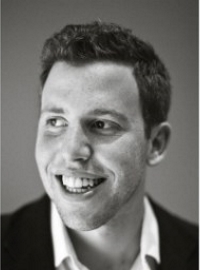 Gil Sperling is Co-founder and CTO of social media ad tech company, Popimedia, Gil Sperling is not your typical ad guy. With a background in engineering, his approach has focused on solving business problems with technology. This lead to the development of Popimedia’s ad tech platform, meedee8 and the reason why they are Africa’s only Facebook Marketing Partner. “Advertising these days is more about where science meets creativity,” says Sperling. For this reason, he believes that the new frontier for digital advertising is in ad tech and the brands that leverage the technology will have a competitive edge. There are other reasons why Sperling is uniquely qualified to make controversial distinctions between the traditional approach to digital and social media, and a technology-enabled, functional approach. His love for simplifying data allows him to see opportunities where others may not. 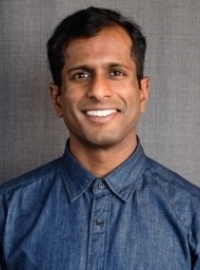 Gil's deep understanding of these opportunities coupled with his entrepreneurial savvy makes him able to take your audience on an entirely new journey into the largely uncharted territory of the new wave of ad tech. Joshin Raghubar is an entrepreneur in the media, marketing, and technology sectors. He is the founder of iKineo, a Pan-African customer engagement agency; Sprout, South Africa’s leading digital media performance firm; and Explore Sideways, a leading online purveyor of wine tourism experiences. Joshin serves as the chairperson of the Bandwidth Barn, Africa’s largest non-profit incubator and accelerator for technology businesses; non-executive director of the Cape Innovation & Technology Initiative (CITi), the public/private sector agency tasked with development of the region as a technology and innovation cluster; and non-executive director of Enke, a non-profit organization that works to empower youth to develop social innovations in their communities. Joshin also serves as a non-executive director of both the Africa Leadership Initiative (Southern Africa) and the African Leadership Network. He is a fellow of the Africa Leadership Initiative and the Aspen Institute’s Global Leaders Network, a fellow of the United States-Southern African Centre for Leadership and Public Values, and a member of the Bertelsmann Foundation’s global Transformation Thinkers program. Joshin is also a 2016 Yale World Fellow. 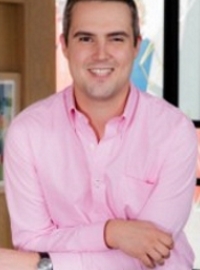 Donald Clarke is CEO of Lucky Bean, an entertainment company based in South Africa. With a celebrated career as a television director, Donald has seamlessly integrated brands into the storylines of shows such as Survivor, MasterChef and Fear Factor. At Lucky Bean, he has overseen the creation of original branded content for clients such as McDonald’s, Nike and Diageo. Lucky Bean was nominated twice for an international Emmy award and has recently licensed Girl.Eat.World to over 50 countries including Netflix (USA). 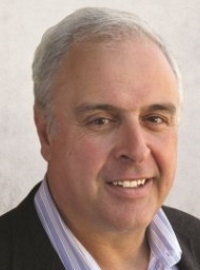 Michael Balkind founded one of SA first online communities www.jhblive.com. He has since launched www.Contentbar.co.za and agency specialising in online user engagement and www.mobflashing.co.za technology for brands to interact with people at events and activations. 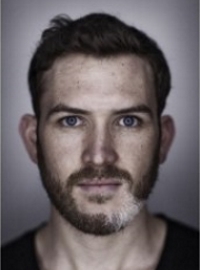 Kyle has over a decade of management experience in various sectors, has helped grow numerous award winning websites, sat on the Publisher Council of South Africa and has assisted the IAB in creating industry guidelines for Native Advertising. He is commercially minded and focused on strategy. Obsessed with being effective, Kyle strives to improve anything around him. He loves digital and is optimistic about its future, despite current challenges. 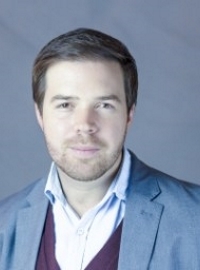 Patrick Conroy is currently the Managing Director of Platco Digital the company behind South Africa’s fastest growing satellite TV service Openview HD. Previously he was the Managing Director all news operations within the e.tv stable, including the 24 hour news channel eNCA, eNCA.com, eNews Prime Time and eNuus on kykNET. Conroy was central to the editorial and marketing strategies of the businesses. He previously worked in radio (Talk Radio 702), print (London, Evening Standard) and advertising (The Jupiter Drawing Room, Cape Town). In 1996 he was the only South African journalist to cover the tragedies on Mount Everest whilst reporting live from the mountain for 702. His book recounting his experiences on the mountain will be published later this year. In 2005 Conroy was awarded the Clive Menell Media Fellowship to Duke University in North Carolina, USA. 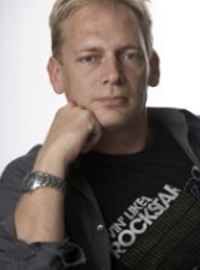 Previously the General Manager of Memeburn.com and subsequently the COO and CEO of two digital development agencies respectively, as well as a die hard tech geek, Hendri has a unique understanding of the technology and digital industries and how to bring cutting edge technological innovation into an online marketing business. Currently the founder and CEO of Barbarossa Media, a digital Content Marketing agency that specialises in using the web to tell engaging and impactful brand stories, Hendri has worked with some of the biggest publishers and brands in Africa. He is passionate about the future of technology and strives to grow the digital landscape in South Africa. Kelly Jackson is the General Manager for Contiki in South Africa, and has been with the brand for just over eight years. Kelly is passionate about travel and marketing, and working for leading youth tour operator Contiki, she gets to combine the two. I am a digital entrepreneur who has a strong passion for using digital channels to connect consumers to brands and products. I have founded two start-ups in the mobile coupons and retail space. I currently head up SnapScan's activation's team where I spend most of my time turning key user behavior insights into actionable customer acquisition campaigns. He was selected as one of the 200 young South Africans to take to lunch by the Mail & Guardian, featured on GQ's list of top 30 men in media and was also a finalist in the Men's Health Best Men Awards. 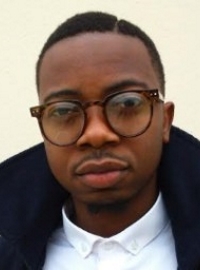 His previous company, Motribe, was named by Forbes as one of the top 20 start-ups in Africa. 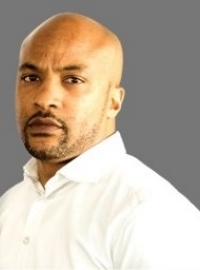 His career included roles at the Sunday Times, Financial Mail, 702, Mail & Guardian as well as Vodacom SA. Simon Hartley is new to business. But he has a good head on his shoulders, a hell of a lot of grit, and his mom just loves him. His measure of success is profit, so if you ask him if he’s successful, he’ll ask you to ask that question again in six months. Simon’s start up, WumDrop, won MTN App Of The Year in 2015. Most importantly, Simon is driven to solve problems, so that’s what he’s doing. 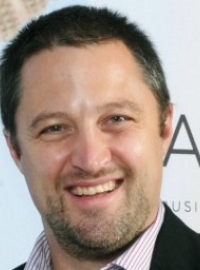 Craig Page-Lee is the former Group MD of Posterscope South Africa and former Deputy MD of FCB Johannesburg. 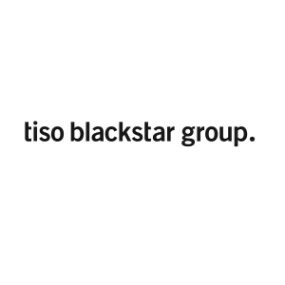 He is now an independent consultant servicing the broader brand, marketing and communications industry. With over 24 years experience across the fields of advertising, architecture, branding, marketing and media, Craig brings a diverse set of specialist skills and a truly integrated delivery capability to the communications industry. 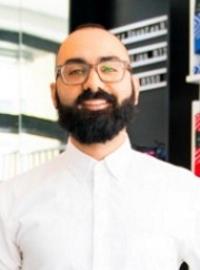 He has worked across 9 Pan-European and 9 Pan-African/MEA regions and has worked on some of the worlds leading brands, including managing the Vodafone and Cannon global brand accounts while living in London. 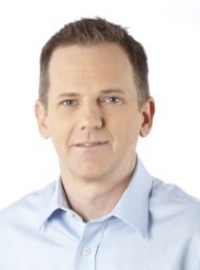 David is unquestionably one of the sponsorship industry’s most influential thought leaders. 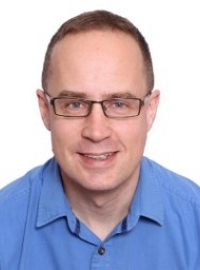 As part of the BMi Group, David has access to over 25 years of data, tools and services across media channels including analytics, digital, social and broadcast to provide a fully integrated research & consulting offering to clients. Recogonised as a leader in their field both locally and abroad, BMi have consistently developed inspirational evaluation and performance tools to help measure & maximise returns for the top brands, rights holders, broadcasters and agencies involved in sport, entertainment and other sponsored causes. 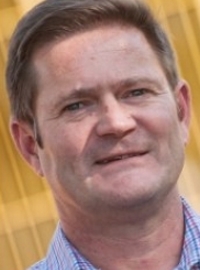 Doug Place is the Chief Marketing Officer of Nando’s Southern Africa a position he has held since late 2015 responsible for all components of the Marketing function for restaurants in South Africa and neighbouring territories. 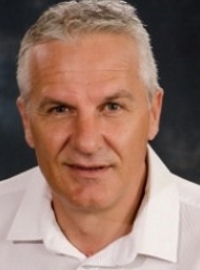 Prior to that Doug held the position of Marketing Executive of Ster-Kinekor Theatres, a position he has held since 2011 overseeing all marketing activities across South African and African cinemas. Before joining Ster-Kinekor, Doug worked at Cadbury South Africa and Snackworks (AVI) from 2006 to 2011 stewarding many of South Africa’s favourite consumer brands to record market share highs under his leadership. Doug has received more than 30 international and national marketing and advertising awards most recently a Silver Apex Awardtm in 2015 and Gold Apex Awardtm in 2014 and two Gold Loerietm award for the Ster-Kinekor “Great Moments” campaign. 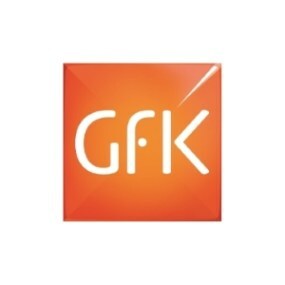 Geoff is an experienced executive with a documented track record of building market-leading digital products with a particular focus on disruptive businesses at the intersection of mobile, media, technology and e-commerce. He has led 24.com, a division of Naspers focusing on digital media, vertical classifieds and services, into one of the largest operations in Africa. Having left Naspers and 24.com late last year he has assisted various companies in sub-Saharan Africa with early stage capital and advisory services and most recently co-founded and invested in a fast growing data-driven marketing technology company, Delv. Delv, using a mix of the latest technology, consolidates and connects online and offline data points into a platform that allows media buyers and brands to orchestrate targeted digital marketing investments across the internet. 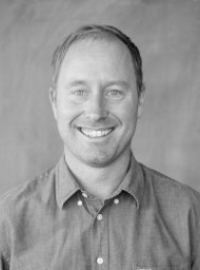 Chris Wiggett has worked in industries ranging from Subscriber Management, Automotive, Digital Marketing and Consulting always with a focus on the Consumer side of the business and Analytics. I am obsessed about the world of advanced analytics and the future thereof in business – Which will be both scary and very exciting. Duncan McLeod is editor of TechCentral, a leading South African technology news and analysis website which he founded seven years ago. 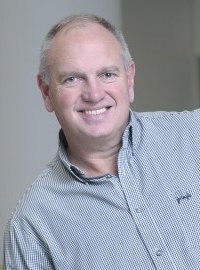 Before starting TechCentral, Duncan was technology editor at the Financial Mail, where he wrote numerous cover stories on South Africa’s ICT industry. He is a regular contributor to the Sunday Times. When he’s not working, Duncan is a keen trail runner. Riaan Wolmarans is head of digital audience development at Times Media, working closely with editorial teams on making the most of their content, social media and more. He is experienced in digital content management and production, having worked at publications including the Financial Times and Business Day, and combines those skills with what he learned during a stint in advertising when he managed digital content for prominent clients of integrated agency MetropolitanRepublic. 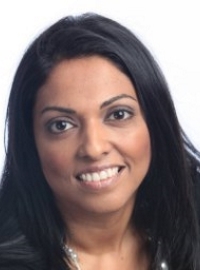 Yavi Madurai connects with over a million people through social media each month, and has trained and lectured to over 5000 people in her 12 years of Social Media experience. She is a global keynote speaker, trainer, blogger and specialist Management Consultant in Digital Marketing and Social Media for both South African and global organisations. She is the Founder and MD of Black Box Theory, an SA-based consultancy, specialising in ‘Digital strategies for a digital world’. Yavi has over 21 years Marketing and Communications experience, across Traditional, Digital, and Social Marketing. She is probably known best as ‘the Media’s’ Social Media expert, by being a regular contributor for eNCA, SABC Africa, and PowerFM, to name a few. 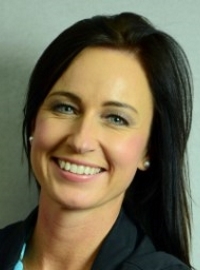 Theresa Lotter – After obtaining her MA in Research Psychology from the University of Pretoria, Theresa worked as a Researcher at Synovate and was an Assistant Lecturer at her Alma Mater. 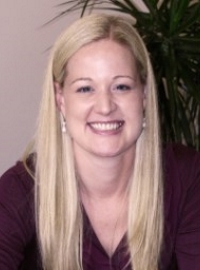 Theresa joined Media Tenor’s Research Team in 2007, and was appointed Research and Quality Assurance Manager in 2009. During her tenure at Media Tenor, Theresa was Key Account Manager for a range of financial Services clients, including Old Mutual and Absa. In 2011, Theresa left Media Tenor and joined the Government Pensions Administration Agency (GPAA) as a Research Specialist in the Monitoring and Evaluation Unit, and oversaw a large-scale project into the welfare needs of government pensioners. In November 2012, Theresa re-joined Media Tenor as Managing Director. Since her tenure as MD, Media Tenor SA has won such prestigious clients as Brand SA and Sasol. 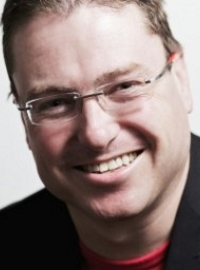 Glenn is a sought-after speaker and panellist who regularly speaks at innovation conferences and business forums. His passion and experience lie in the creative industries; in serious gaming, and animation; and in the building of international knowledge-intensive businesses. He has featured at TEDx and The Digital Edge Live 2015, where he addressed thought leaders on the role that technology plays in storytelling, creating a sense of agency or control of the world around us, and how these can be used to drive business and social outcomes. Glenn is also the co-founder of The Relate Trust, a social enterprise that provides employment opportunities and connects organisations to good causes by making beaded bracelets. Relate has sold over one-and-a-half million bracelets and has generated over R35 million in donations and skills- and enterprise-development funding. Glenn has held a number of senior marketing director positions and has extensive international business experience in 15 countries. He was the general manager of Clockwork Zoo, one of the largest 2D and live TV production companies in South Africa, and before that he was the general manager at Moonlighting Film Services, which is South Africa’s leading film and commercials company. 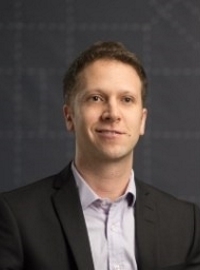 Ryan Jamieson, is an experienced and hands-on Director of Technology and Innovation with a BSc Engineering Degree and MBA. His primary role is the alignment of technology to the company’s strategy which involves thought leadership, leading technical leaders, innovation and R&D, skills recruitment and alignment, as well as product development. Before joining the company in its formative years, Ryan started as an engineer with roles that required team management and problem solving which have been invaluable skills with his move into technology. He began as a developer in IT and moved to being a team lead and a manager in a division of a company called Logical and later worked as a solution architect at Idion. Ryan has Protea Colours in Jujitsu and was the Coach of the SA Jujitsu team in 2007. He is a popular speaker at technical events and has fulfilled the v-IMDM (Industry Market Development Manager) for the Retail Industry for Microsoft. 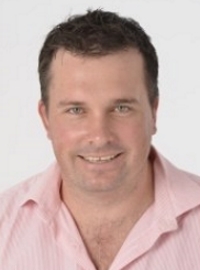 Jeremy Maggs is co-presenter of the flagship evening current affairs programme News Night on eNCA. He also presents a daily one hour current affairs radio show on Power FM 98.7 called The Power Update, and is the advertising and media writer on the Financial Mail and co-editor of the authoritative yearly industry review, The Annual AdFocus. Born in Soweto, Johannesburg in November 1979. Grew up in Maseru, Lesotho surrounded by a rather large extended family. Moved to Johannesburg, South Africa 2nd year of High School and have been here since. Attended Howard University in Washington DC, intent on becoming a globetrotting Banker. I dropped out of my International Business degree programme in my 3rd year, and decided to try my hand at television presenting and producing. Between 1999 and 2003, worked as a freelance presenter, scriptwriter, and producer. 2003 came with an existential crisis, which led to me taking a break from Television. I wanted to make a more meaningful contribution to Society, so I joined South Africa’s first free University CIDA City Campus as their Head Project Manager for Community Outreach Programmes. I was fortunate enough to work closely with very clever Analysts from the Monitor Group, incredibly learned Scientists from the Bill and Melinda Gates Foundation, as well as one of my Heroes. Teddy Blecher who founded the CIDA group. CIDA taught me invaluable Critical Thinking and Problem Solving Skills. In 2010, I decided to re-focus my energies, and bought the TV Production (Bonngoe Productions) division from the Re: public Media Group. 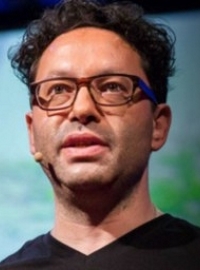 Toby Shapshak is editor-in-chief and publisher of Stuff, a contributor to Forbes and a columnist for the Financial Mail. His TED talk on innovation in Africa has over 1,4-million views; about which he has written for CNN and The Guardian in London. He was named in GQ's top 30 men in media and the Mail & Guardian newspaper's 300 influential young South Africans. He has been featured in the New York Times. 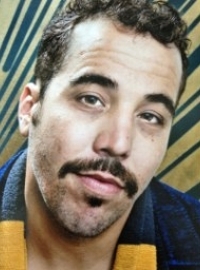 GQ said he "has become the most high-profile technology journalist in the country". 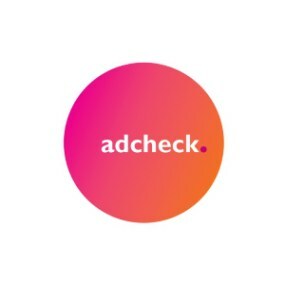 AdCheck provides an advertising monitoring service that allows marketers to have easy access to their competitors advertising. Monitoring your competitions’ advertising not only allows your business to identify the products and services they are offering, but it also gives your business the insight into how your competition has positioned themselves and their communications message toward the customer. This vision gives AdCheck’s clients the ability to identify what the competition offers and what makes their product or service stand out from the multitude. AdCheck’s ad monitoring and analysis services are invaluable to any long-term competitor analysis strategies. 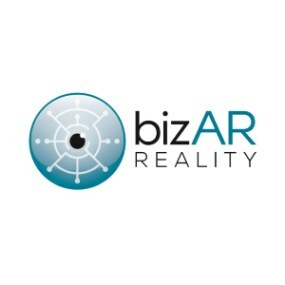 bizAR is an interactive software development company that specializes in Augmented and Virtual Reality solutions. Our software is capable of improving communication, efficiency, sales, training procedures and customer engagement. As you will see, we don’t simply offer a technology. We focus on delivering a solution that has tangible return on investment for your company. bizAR Reality is also a distributor and software provider of MultiTaction Solutions in Africa. MultiTaction is rated the best Multi-touch screen in the world, powered by intuitive software. We believe in enhancing communication by combining innovation with the latest technology. BrandsEye is the world's first crowd-supported media intelligence and insights company. We help make sense of what people think and how they feel about topics, brands and products based on what is being said across both online and traditional platforms. We cut through the clutter of unstructured data to provide you with a clear picture of the market's actual sentiment towards your brand. By combining human and machine processing, we reach accuracy levels of up to 97% outperforming machine learning algorithms which struggle to cope with sarcasm, slang, local vernacular and foreign languages. 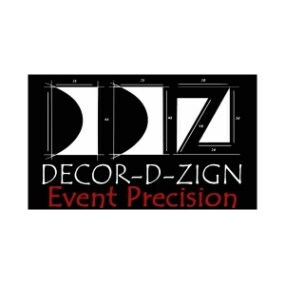 Décor-D-Zign has the vision, experience and ability to change the face of any event, function, exhibition or launch. Custom design and proposals for any type of event are our specialty. Décor-D-Zign stocks everything you need for your event - table linen, theme party décor, draping, table centrepieces, candles & furniture. We are creative, innovative, professional and we deliver the goods and provide the services our clients require, at the right time, the right place and at the right price. 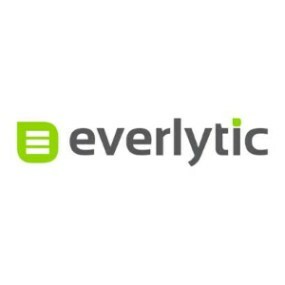 Everlytic is email and sms cloud marketing software built for discerning marketers. Create flexible, automated campaigns with our easy-to-use interface and track everything. Created for the demanding requirements of big business and to build richer customer relationships, our powerful software is trusted by hundreds of the best known brands in South Africa and abroad. Build and manage effective digital campaigns from bulk newsletters and notifications, to transactional statements and system generated messages across email, mobile and social channels from one central hub. 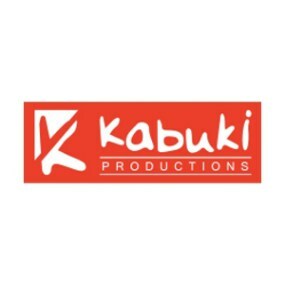 Kabuki Productions comprises a group of young, talented and enthusiastic individuals who produce high-end yet affordable digital content and technical direction. Specialising in video production, animation and corporate event content, we manage a project from the creative concept to a finished visual communication. Our technical experience bridges the gap between content and staging by working closely with technical companies to ensure a smooth transition from post-production to final event. Our event capabilities include state-of-the-art camera units, multi-channel mixing desks, and professional crew, which capture live events and create videos during, and after the show, both on or off-site to further communicate our clients’ strategy. KENA OUTDOOR is a billboard media owner and brand communication specialist. We offer brand managers and advertisers a demographically balanced billboard footprint across major urban centres in South Africa. 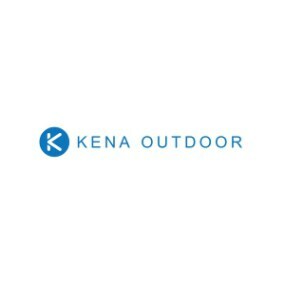 KENA OUTDOOR is 100% owned by its founding partners Tshepo Matsepe and Lerumo Maisela. 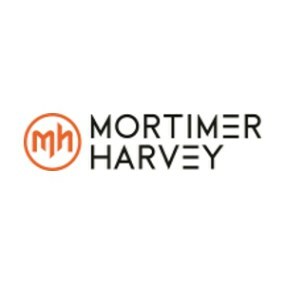 Specialist global practices include Millward Brown Digital (a leader in digital effectiveness and intelligence), Firefly Millward Brown (a global qualitative network), a neuroscience practice (using neuroscience to optimize the value of traditional research techniques), and Millward Brown Vermeer (a strategy consultancy helping companies maximize financial returns on brand and marketing investments). 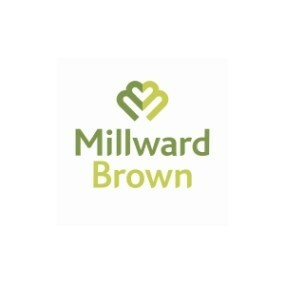 Millward Brown is part of Kantar, WPP’s data investment management division. 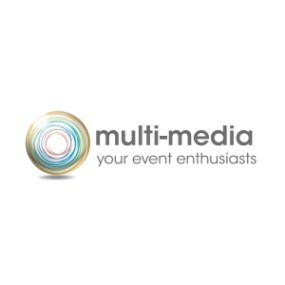 At Multi-Media, we offer peace of mind to the corporate eventing industry. With a history of success dating back 25 years, efficient staff and well maintained inventory, we have the knowledge and experience to consistently deliver specialist technical solutions. We work with our clients in understanding their brief, understanding their brand, and then providing the right solution to meet the objective – always acting with Integrity and our clients interests at heart! Situated at a data crossroads between publishers and advertisers, TimeOne South Africa proposes groundbreaking new services for customer acquisition, turnover generation, reactivation of sleepers and the engagement of Internet users, etc. The company operates throughout the entire "Data-Driven Performance Marketing" value chain: from strategic consulting services, decision-making support and network coordination to the implementation of multi-channel strategies and measurement of results. Public-Ideas South-Africa, the leader in Performance Marketing, recently joined the TimeOne Group which offers all online marketing solutions in Mobile, Programmatic, Native, Market Place, Performance and Publishing. 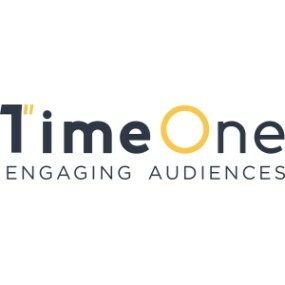 Created in 2016, TimeOne is a marketing services group. The group's activities are focused on three main areas: Content, Data and Technologies. With its firm commitment to prescriptive marketing and a common technological core (DMP), TimeOne relies on major innovations made possible by its extensive Research and Development activities. The Redzone website, edited by well-known broadcaster and media commentator, Jeremy Maggs, is aimed at South Africa’s professional marketing community. The Redzone website provides daily uploads with the specific intention of giving time-pressed marketers and brand managers fresh insight and relevant intelligence that will make their jobs easier. 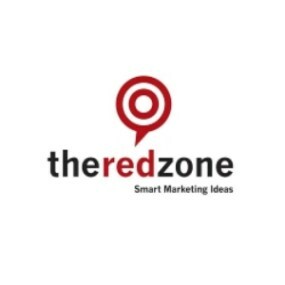 The Redzone, is a burgeoning community of marketers who through an annual membership programme, derive multiple benefits including; preferential and discounted admission to bespoke events; the opportunity to have a face to face corporate interview with Jeremy Maggs; access to unique marketing-issues research as well as substantial discounts on advertising rates on the website, and within the media and advertising Redzone pages within Financial Mail. Newspapers, magazines, TV channels, radio stations and websites: One BIG media footprint with national coverage that reaches the homes of the people you want to speak to. Times Media is one of SA’s biggest and most trusted media partners, delivering measurable and impactful channels of distribution, backed by an innovative, forward-thinking team that connects you with the right audience. We have the reach, the experience and the originality to make a difference to your brand. Tractor Outdoor is a premier out-of-home advertising solutions company offering expertly situated advertising space in the major cities of South Africa. We own a multitude of various outdoor formats that aim at targeting various market segments. We do this across the major metropolitan areas in the Western and Eastern Cape, Gauteng and Kwa-Zulu Natal Provinces. We believe in providing the highest standards of service in the industry and go the extra mile to keep our clients happy.